Welcome to AluminumBleachers.com by Highland Products Group, your one-stop shop for quality aluminum bleachers. We are a national sales leader for aluminum bleachers with thousands of satisfied customers. Purchasing a bleacher system is a big decision. Our large array of bleacher systems is sure to meet your venue’s needs at the best price in the market. The following is some basic information about our products to assist you in your decision-making process. Aluminum Bleachers, by Highland Products Group, offers the broadest array of bleacher seating solutions, from 3-Row Bleachers to 15-Row Bleachers. We offer convenient Tip-n-Roll bleachers for easily deployed special event seating. And when it’s time to take the show on the road Highland’s 5 row and 10 row Transportable Bleacher Systems can be hooked to a trailer hitch and towed. Holding a series of campaign rallies? Whether you are running for president, running a carnival, or running a special events business, the crowds will follow when you have Highland Transportable bleachers in tow! 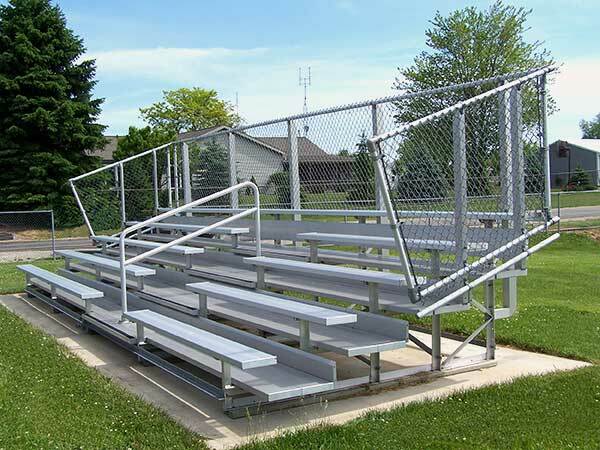 We also offer a full line of ADA bleachers with wheelchair access and ramps. Our aluminum bleachers are code compliant and meet International Building Code 2012 requirements. If you are using wooden bleachers, now is the time to replace them with safer, more durable and easy to maintain sports bleachers and event bleachers. Highland not only sells bleachers, we also sell aluminum players benches and scoring platforms, but that’s not all. Highland also carries a full line of special events outdoor flooring systems to convert your ball field into a concert or graduation venue. Our protective field tarps are used in professional baseball stadiums! From Little Leagues to the Major Leagues from Pop Warner Football to Pop Star Concerts you will find that Highland has the solution you are looking for. Highland Products Group is committed to your satisfaction. Our promise to our customers is quality products at the most competitive prices and unmatched customer service from courteous and knowledgeable product experts. Highland Bleacher pricing won’t be beat! 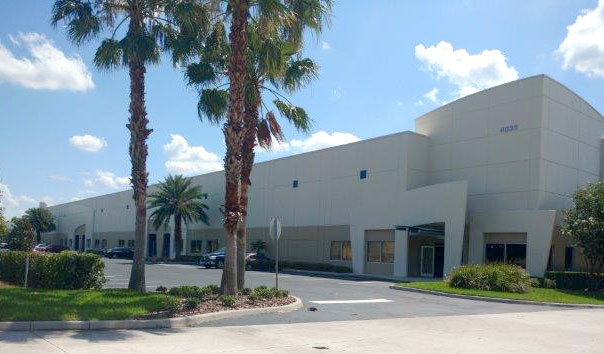 This commitment has made Highland America’s fastest growing site furnishings company and the preferred supplier of Bleacher Systems to governments, universities, fairgrounds, and rodeos alike! We invite you to take a look. If you don’t see exactly what you are looking for, please call. Portable aluminum bleachers for multiple uses. Did you know Highland’s staff includes CAD/CAM-trained experts who can design permanent Grandstand Installations? Architects and General Contractors are welcome to call for quotes and consultations. Aluminum Bleachers generally fit into one of four categories: permanent/stationary, portable/movable, telescopic/folding, and temporary. Temporary aluminum bleachers are typically stored in pieces and are intended for use only during specific events, such as circuses, golf tournaments, and parades. 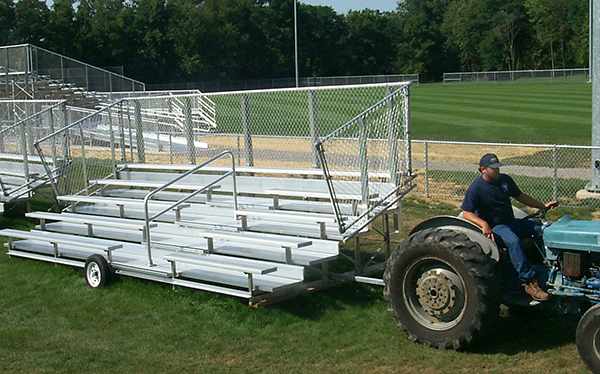 Whether installed for long-term or portable use, a bleacher is commonly made of aluminum or steel. Portable aluminum bleachers generally have added features like casters and rubber footpads that prevent them from damaging the floor as they are moved. There are also elevated and tiered bleachers, as well as straight bleacher benches. Sometimes bleachers are colorfully painted for an added touch of team spirit. But at their most basic, bleachers are designed for durability in outdoor as well as indoor settings; they are economic yet comfortable, made to withstand the normal wear and tear that often erupts from excited crowds. We also offer Custom Designed Aluminum Bleachers and planning services for your particular location. 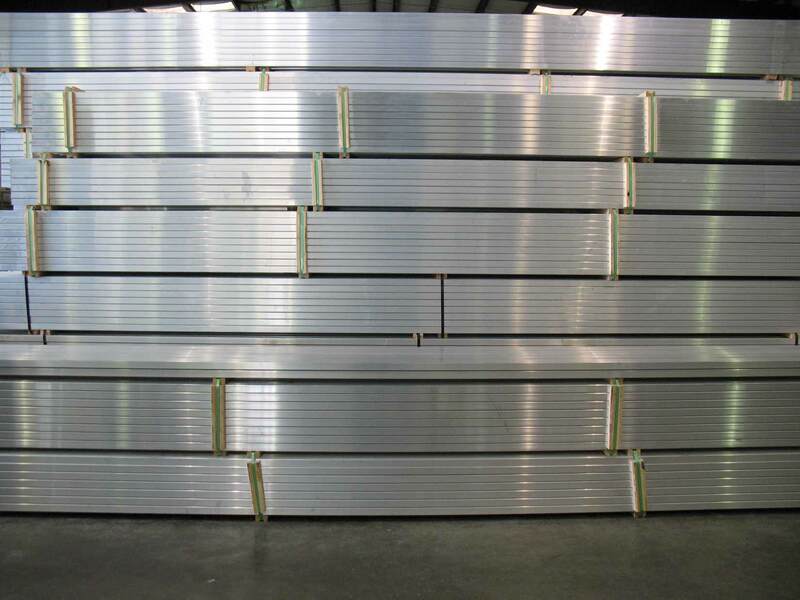 When it comes to quality, all of our aluminum bleachers are Made in the USA at our own manufacturing facility. This way you can be sure of the quality, durability and safety. See our full range of bleachers for sale.